Home → News → Porting Kit news. As you may know there has been a lot going on in Porting Land. We have lots of things we need to think about and working on, especially concerning future 32-bit support drop by Apple in later OS updates. As you also may know we had a Linux version of Porting Kit planned for the future, but because of the Mac OS advancement, we decided to make this a priority. So Vitor is working hard to create a Linux version of Porting Kit, which should work with the existing “game port scripts” (WSI2 files) we have for Mac (just like in Crossover the cross-ties work for bot Linux and Mac). 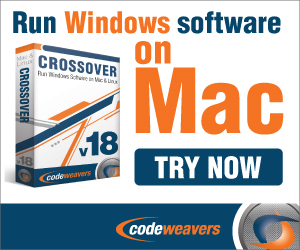 There is only 1 difference in Linux, which is that there is no such thing as “Macdriver”. So this will be X11 instead. Hower, the pro thing in Linux is, that there is much better support for Directx11. So games like Witcher 3 and others are possible in there. So that’s something to look forward too. Besides that we are working on something new as well in Porting Kit called: PKE “Porting Kit Environment” which will be a complete “environment” and more cool stuff, but more info follows, when things progress. In short, we never sit still although it may be that there is some silence for a while. On May 28, 2018 / News, Portingkit / Comments Off on Porting Kit news.